With the advent of the internet and the ever changing technology, customers are no longer using checks and cash for their online payments. 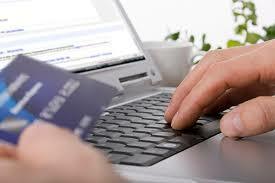 Most consumers are now acquiring debit and credit cards for their online purchases. A merchant account will enable you to receive payments in various ways. This will open up your online business and add value to your organization in several ways. Here are 5 major benefits of having a merchant account. As an online business, you will be dealing with clients from different countries, using different currencies. Having an account that accepts different currencies is an advantage for business owners. This is because you can increase your customer base because your clients will be able to make payments using their local currency. This will enhance the online shopping experience of your international clients and make it easier for them to buy goods online and you will get repeat clients. If you want your customers to keep coming back, then you must ensure that their financial data and money is safe. Research has shown that half of online consumers are fearful about theft of their credit card data. With the high security associated with the merchant account and strict security guidelines, you can be confident that all their financial data is secure. This will make clients feel confident and safe when making purchases from online store like www.netgiro.is. When you use a merchant account for your online business, you will be able to easily manage and organize your cash flow. You will get detailed monthly statements of every transaction, including the currency, payment modes and much more. This will make it easy for you to keep track of your profits and pay your taxes. You will be able to track your payment history without any challenges. These days, consumers want to enjoy convenience and flexibility. Providing your clients with various payment options gives them control over how they can spend their own money. In addition, you will be able to cater for different clients who prefer different modes of payment. This will ensure that your customers are contented because you will give them the flexibility and freedom that they want. With a merchant account and electronic modes of payment, your business will be exempted from the costs and troubles that are associated with bounced checks. This will ensure that your business gets payment for the services rendered or goods sold without issues. You can also get payments for recurring services that you offer on a repeat basis. Taking your business online, irrespective of its size, is crucial. This is because people now rely on the internet for their bill payment, shopping, and even account management. Having a reliable merchant account helps you to provide virtual invoicing, receive payments online, set up reminders for payment and take your business wherever you go. This means that you will not only have business from people in your locality, but globally as well.